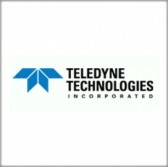 A Teledyne Technologies subsidiary has received a $23 million contract from NASA to develop a sensor technology for integration into a space observatory designed to examine the near-infrared sky. Teledyne Scientific & Imaging will supply 72 short wave infrared sensor chip assembly devices for the Wide Field Infrared Survey Telescope mission and help the space agency conduct warn and cold functional evaluations as part of final SCA flight tests, NASA said Friday. Contract work is scheduled to occur from June 14 of this year to October 31, 2020. NASA’s Godard Space Flight Center manages the WFIRST project, which is fully funded for the current fiscal year. Ball Aerospace received a separate contract last month to produce the observatory’s optical mechanical assembly.